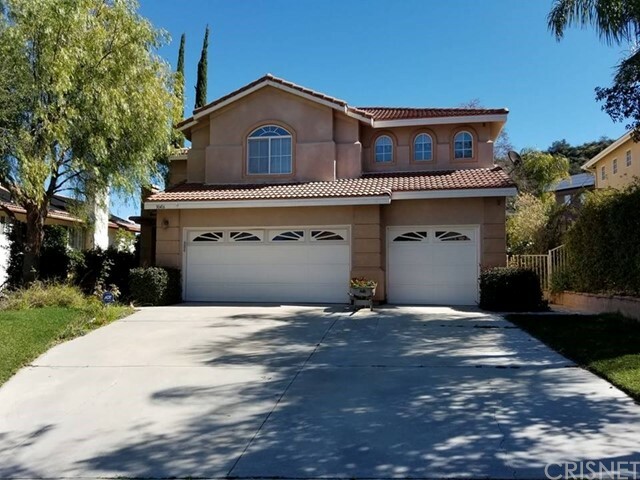 All Castaic homes currently listed for sale in Castaic as of 04/21/2019 are shown below. You can change the search criteria at any time by pressing the 'Change Search' button below. 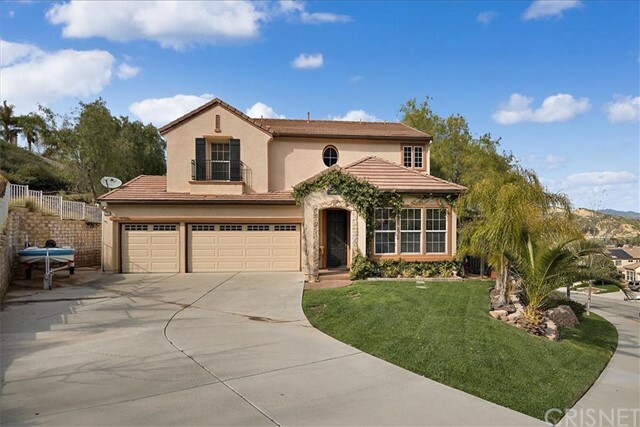 If you have any questions or you would like more information about any Castaic homes for sale or other Castaic real estate, please contact us and one of our knowledgeable Castaic REALTORS® would be pleased to assist you. "Single Story home with income. Assisted Care Living potential in an ideal location. Exceptional Construction offered in Hasley Canyon. Offers Beauty and Tranquility. Hasley Canyon Equestrian Center. 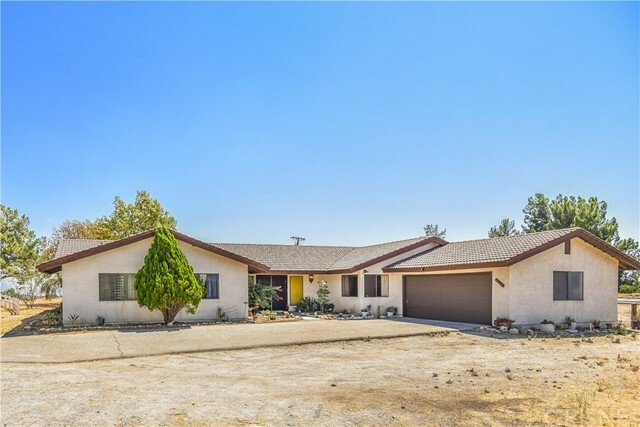 This is an Unbelievable Single Story Ranch Home with an Attached Guest House. Approximately 5,100+/- sq. ft. Main House includes Four Large Bedrooms, 7 Full Baths, a Spacious Great Room with a Fireplace, a Formal Dining Room, a Library/Fitness Center, and an Oversized Bonus Room above the Four Car Ga"
"Amidst the Majestic Hasley Canyon Mountains sits a Private Gated Custom Single Story Home Nestled on 5 Acres. Surrounded by 7 Numbered Oak Trees Rolling Hills & Breathtaking Views, the Main House Boasts 3600 Sq. Ft. and Includes 5 Extra Large Bedrooms, 4 Bathrooms, Family Room, Dining Room, & Spacious Cooks Kitchen with Granite Counter tops, Island with Counter Seating, Kitchen Nook & Stainless Appliances including a Thermador Oven & Trash Compactor. 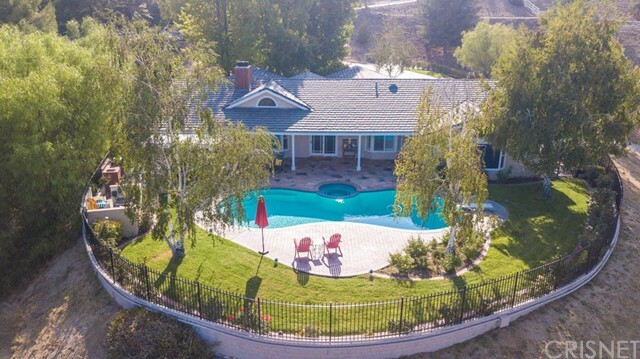 The 4 Car Garage includes a Workshop, Plenty "
"A Majestic Contemporary Ranch estate situated on an acre of land in the magnificent horse country area of Castaic, features 5 bed/3.5 bath, with Resort style amenities surrounded by a wall of enchanting trees and a pristine white ranch-style fence. Roll up to your extra long curved drive that can hold up to 16 cars or boat/RV's. As you enter this designer Home loaded with upgrades, a stunning foyer with 20-foot ceilings opens to a brightly illuminated living room that features elegant solid oak "
"Located in the HIGHLY sought after Hasley Canyon area of Castaic, this Single story Ranch style Estate shows true PRIDE of ownership throughout the property. 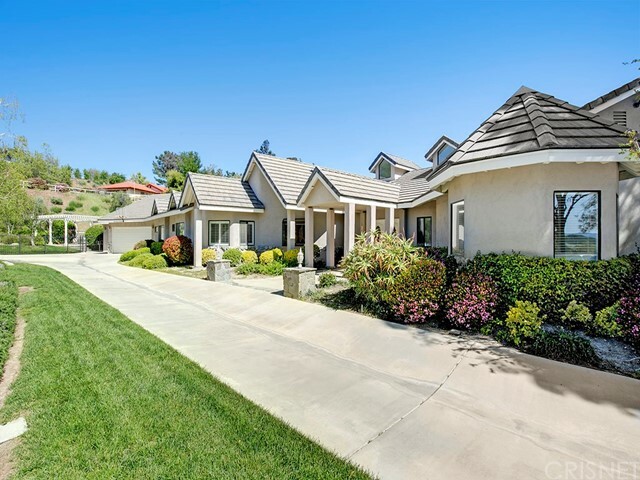 Tranquil Country Living yet minutes away from the hustle and bustle of the city and Lake Castaic. This private estate boasts 4377 sqft., 4 bedrooms and 4 bathrooms, Plantation Shutters, Hardwood & Porcelain Tile flooring. Spacious kitchen features Stainless Steel Viking & Kitchen Aid appliances, BUILT-IN Refrigerator & Granite countertops. " "Ready to sell!!! 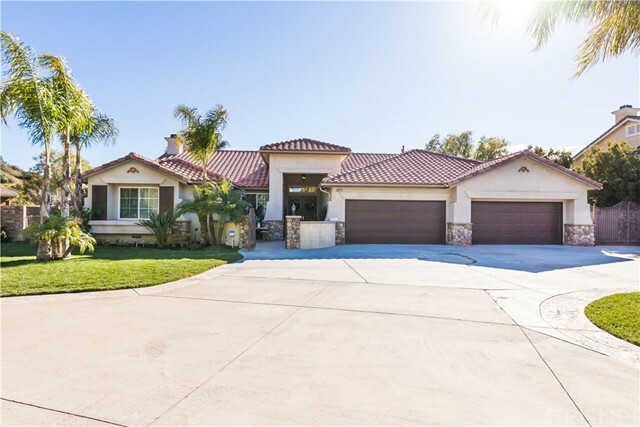 Beautiful Hasley Canyon one story home featuring 2 acres, 3 car garage, heated pool & spa, gorgeous panoramic views and a separate detached guest quarters/office. Room for RV, boats & other toys. 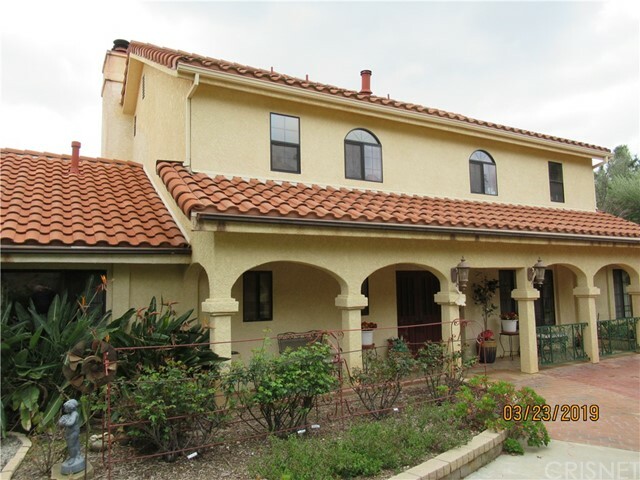 Main home is 2955 sq feet and the separate office/guest quarters w/half bath is 300 sq feet. Kitchen is absolutely beautiful w/custom tumbled marble counters, island, walk-in pantry & newer high-end, stainless steel Kitchen Aid appliances w/built in cabinet depth fridge, dual ovens and "
"6 beds 5 baths 3,674 sq ft 4 car garage and 40ft paved RV parking on the side with dump station. This Beautifully upgraded Hasley Canyon Estate is on almost an acre of usable land with views all around. Perfect for any animal lover. Throughout the home you will find gorgeous Travertine flooring, crown moldings, plantation shutters, mirrored closets, surround sound and recessed lighting! Tons of upgrades throughout this spacious open floor plan with beautiful views looking down on the canyon and "
"Beautiful rambling single story home that sits a top a knoll overlooking an amazing 360 view with lush pastures. This Hasley Canyon, one of a kind custom home is an entertainers dream, Enough room for horses, multiple RV parking, or that dream workshop or RV garage, in the oversized car 3 garage. The interior has all been newly painted and once you enter the home you are pleasantly surprises by a beautiful tongue and grove ceiling and rock fireplace, that just screams cozy. 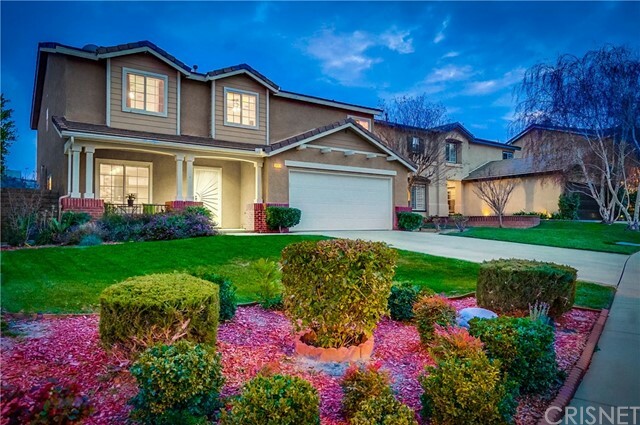 This 5 bedroom 4 bath"
"Welcome to Quail Ranch in Exclusive Hasley Canyon. 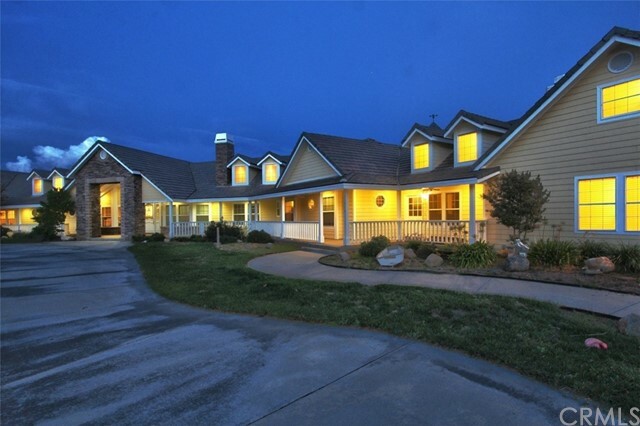 Quail Ranch offers the best country living close in to the City. 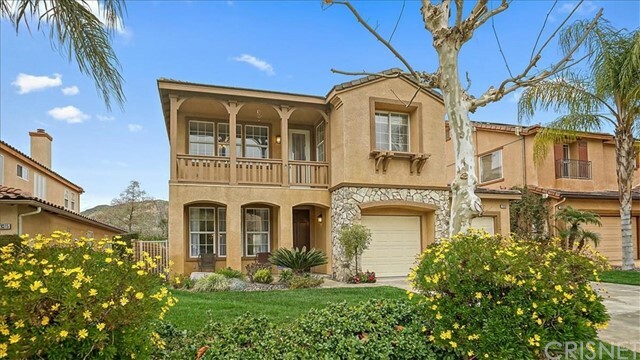 Hasley Canyon is an equestrian neighborhood in the unincorporated area of Castaic Only 45 minutes to Los Angeles city and Ventura beaches. 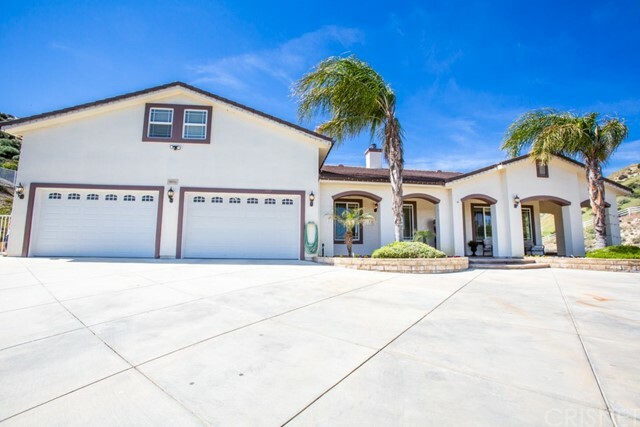 Quail Ranch offers a single family hacienda home custom built in 1986. Home offers 4 bedrooms 3 baths in 2855 squarefeet of living space. The home has a 5 car garage, plus an 1200 Square foot shop with sky lights and electricity. The houses sits"
"This immaculate, professionally-designed custom single story estate boasts breathtaking views of the canyon & exudes modern elegance. This home provides the feel of privacy while still maintaining close proximity to local amenities. With 4 bedrooms, 3 full baths, generous living space and stylish finishes, you'll enjoy the perfect setting for relaxing and entertaining in your own personal paradise. As you walk through the double door entry you'll be greeted with upgraded travertine flooring, vau"
"This stunning single-story home is nestled on an extended lot of 3-acres in the very prestigious Hidden Valley, Hasley Estates. A picturesque landscaped exterior welcomes you into a 4 bedroom, 2.5 bathroom home with a formal living room, dining room & a family room with a fireplace. A gourmet kitchen adjacent to the family room, is the perfect place to cook. Fully equipped with built-in appliances, granite counter-tops & a center Island. Other features include Owned Solar panels, Plantations shu"
"If you're seeking solace from the city while having it just minutes away, then you won't want to miss 30809 Desert Shadow Road. 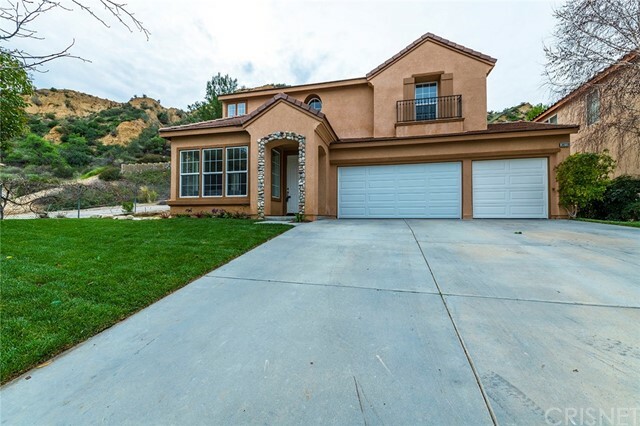 Located in the HEART of Hasley Canyon in Castaic! This ranch style home offers the most spectacular PANORAMIC VIEWS imaginable! This property sits on 3.3 Acres with private paved roads and white vinyl fencing. Open floorplan concept with 5 large bedrooms (title shows 3 bedrooms), 3 bathrooms, Large Pool and Spa...great for relaxing while observing the baby deer that vis"
"BUEATIFUL CUSTOM BUILT MEDITERRANEAN RANCH STYLE HOME OVER LOOKING TAPIA CANYON ON 12 ACRES. EXECELLENT WELL. THE PROPERTY ALSO HAS A SEPARATE ONE BEDROOM ONE BATH GUEST HOUSE. HOME HAS POTENTIAL FOR A BED AND BREAKFAST OR EQUESTRIAN CENTER OR JUST A WONDERFUL HOME WITH PEACE AND QUIET AND BUEATFUL VEIWS." "Gorgeous, elegant home in a beautiful courtyard setting with lush landscaping. The rear backyard has breathtaking canyon views that can be enjoyed from the all season veranda style covered patio. This home features formal living room with fireplace, family room adjoining the large gourmet kitchen with granite counters, travertine tile back splash, with a copper farmhouse sink, and a working island including a large walk in pantry between kitchen and formal dining room. One bedroom is on main lev"
"Welcome home to this Clean, Cristal home with great curb appeal! When you enter this 3,177 sqft home you will find a spacious formal living and dining room on your left; to the right you will find a HUGE DOWNSTAIRS BEDROOM and full bathroom, as well as a large laundry room. The open concept kitchen is has clean lines, white cabinets and a huge island! It opens to the huge family room that could accommodate a family of any size to warm themselves by the fireplace! The property includes a spacious"
"Turnkey pool home. 4 bedrooms + 3 full bathrooms + office (possible 5th bedroom) + loft + pool & spa. 3,152 sqft, 2000 built, 3 car attached garage, divided into double and single car which offers the prestiges court yard entry. Office / Den and one full bathroom downstairs. Quartz stone counter top in kitchen with a very large kitchen island. More than spacious family room & nook with fireplace. Large master suite with his & hers walk in closet. 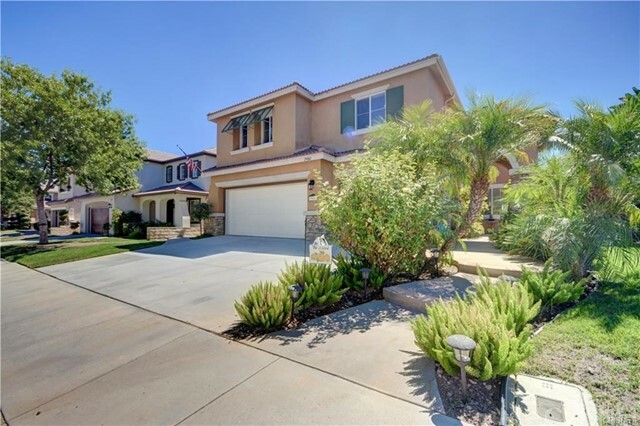 Private and more than spacious entertainers back "
"Pristine Home Nestled on a Cul de Sac in the Serene Hills of Castaic. 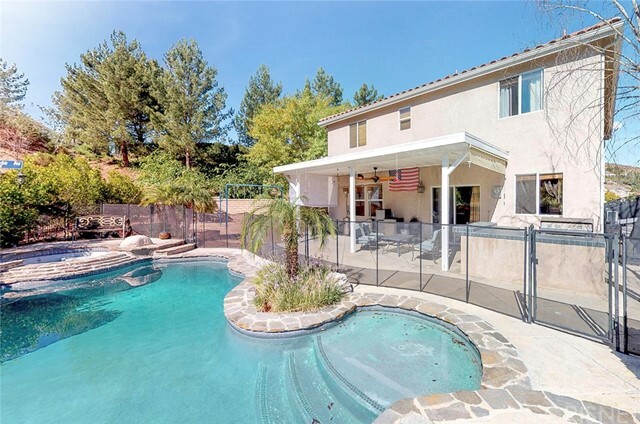 Enjoy Breathtaking City and Mountain Views while you Bask in Your own Private Back Yard with Relaxing Pool/Spa, Covered Patio Area for Comfortable Entertaining, Charming Front Porch Area too. This Beautiful Open Floor Plan with Rich Dark Engineered Wood Floors offers Open Concept Elegant Living/Dining Room with Accent Chandelier, Generous Family Room with Media Niche and Romantic Fireplace which Opens to Chef's Kitchen with Fa"
"Price improvement on this gorgeous Hillcrest pool home in the sought after Star Canyon neighborhood. Offering three car garages and four nice size bedrooms all with ceiling fans, and a wonderful loft with immaculate custom made cabinetry making a fantastic office area. The master bedroom with dual sinks and tub/shower in the bathroom overlooks the beautifully landscaped private backyard. All guest bedrooms offer walk-in closets. 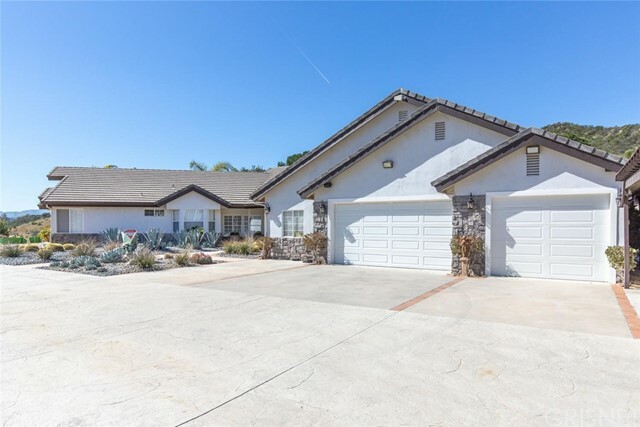 Kitchen has newer built-in stove oven and huge picture window with "
"Beautiful 4 bed 3 bath + loft Castaic home with numerous upgrades, stunning mountain views, charming curb appeal and a private lot! Light and bright interior featuring 2,768 square feet of living space and an open concept layout. Upon entering the home you will be greeted by the relaxing formal living room and dining area and notice the fine details in the crown molding, wide baseboards & gorgeous hardwood flooring. 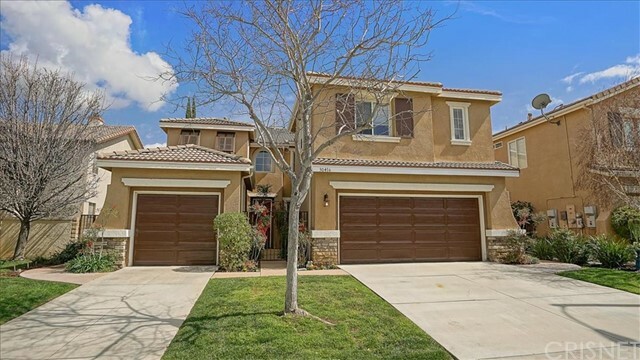 Kitchen features large a island perfect for barstool seating, granite counters, "
"Hasley Hills Castaic Private 5 bedroom cul-de-sac home. Tons of privacy with no one on one side of house. Gorgeous backyard with outstanding pool and large patio. Perfect floorplan with large living room attached large dining area and open kitchen. One bedroom and attached bathroom downstairs. Upstairs are 3 bedrooms plus large master suite with walk-in closet. Upstairs also features extra large game room/living room. Exceptional home! Come see it before it's gone!" "HANDS DOWN, BEST PRICE PER SQ. FT. in NORTHLAKE! Enjoy the beautiful mountain views while relaxing in this spacious 3,355 sq foot home featuring six bedrooms and four baths! Formal living room and dining room, as well as expansive kitchen, family room and breakfast nook for all types of gatherings. Beautiful Master bedroom with a retreat large enough for a library or office; His and her vanity sinks, and large walk-in closet. Two sets of Jack and Jill bedrooms with connecting bathrooms. 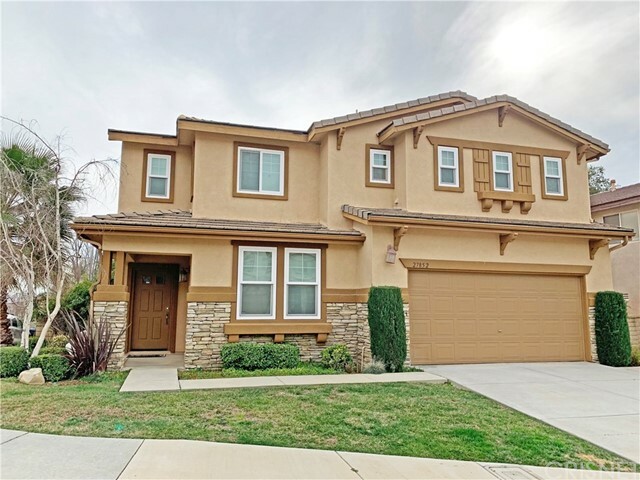 Complete"
"Stunning, turnkey, 2 story home, on a corner lot with 4 bedrooms, 3 baths, 2,230 sq. ft., a Large bonus room, 3 car garage, individual laundry room, and beautifully landscaped yard. Features include, many windows offering beautiful amounts of natural light throughout the day, vaulted ceilings, recessed lighting, a completely renovated kitchen with breakfast bar, custom painted ceiling height cabinets, additional pantry space for storage, granite countertops, stainless steel appliances, a fantast"
"A stunner! Turn-key, two level gem in the highly sought after Cambridge Tract subdivision of Halsey Hills! Welcome inside and see all the upgrades and amenities offered: Light filled rooms, tall ceilings, and an open floorplan; upgraded kitchen with glass tile backsplash, granite countertops, custom cabinets, and professional stainless steel appliances; breakfast bar entertains family and friends while meals are prepared and memories made; NEST thermostat; the master suite with deluxe bath area,"
"No need to look any further, all the work is done for you! 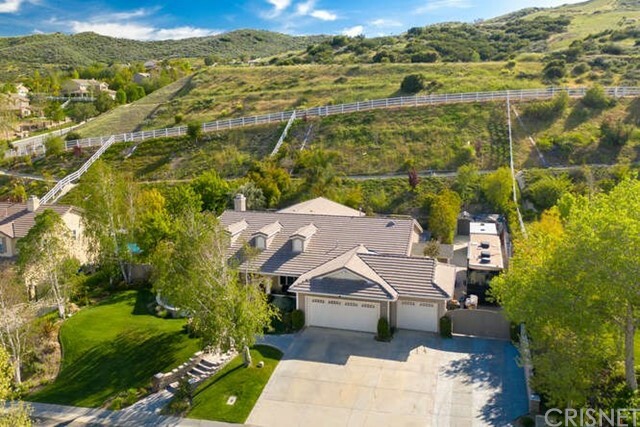 This 4 bed, 3 bath Castaic beauty has been meticulously updated for modern-day & sits on a private corner lot backing to an unbelievable mountain setting of 7+ acres. Picture-perfect mountain views abound throughout the light-filled interior spanning 2,768 square feet. Airy & bright, you ll love the walls of windows bringing the outdoors in as a story of elegant living & entertaining unfolds. Open concept layout has an eff"
"Fantastic Northlake 4 bedroom home on cul-de-sac street. Owned solar great $$$$ savings. Original owners have taken care of this beautiful home since they first purchased it. This home features all 4 bedrooms upstairs. Formal living and formal dining rooms. Spacious master suite with ginormous walk in closet. Huge master suite bathroom with oval soaking tub, his and hers vanities. Kitchen with granite island, counters and tile floors, pantry , dining area and is open to large family room with bu"